Posted April 11, 2016 by trekkit & filed under By Rodney, norway, trekkit. 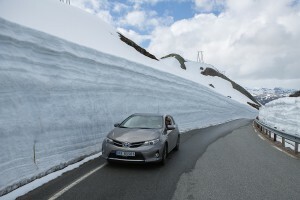 The mountain road from Lysebotn is closed during the winter months and opens each year, usually in May. Construction of the road was completed in 1984, and was built in connection with the development of a hydro-electric power station. It is the only road to Lysebotn, access to the community during the winter months is by water only. 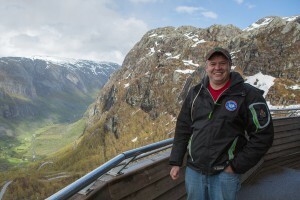 The 27 hairpin bends and tunnel down to Lysebotn along the mountain road are impressive and can be best seen from Øygardsstølen (Eagles Nest), the viewing point near the top of the fjord. Øygardsstølen is also the starting point for the hike to the Kjerag Plateau and Kjeragbolten. 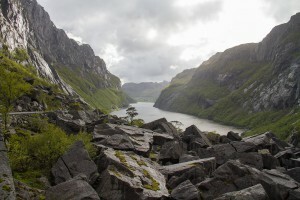 Once we arrived at the top of the fjord we could appreciate why the path to the Kjerag Plateau was still closed. Wow, there was still a lot of snow on the ground for June! We were told that the snow along the hiking route could still be up to 3 m deep. 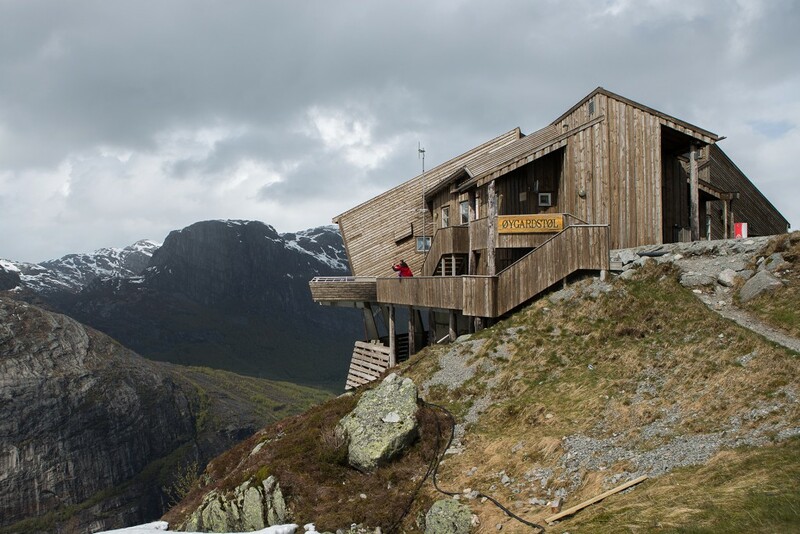 Perhaps this hike will be a priority on a future trip to Norway. It takes approximately 5-6 hours to make the hike to the plateau, and the trek is described as “strenuous”. However, I think it would be worth it! While driving through the “snow road” your ability to see oncoming vehicles is significantly reduced due to the very high vertical snow banks. Of course, this becomes a larger concern when the two-way road is effectively only one-lane wide. We did encounter a semi-trailer truck on a turn requiring both of us to brake quickly! We then had to back up nearly 100 m to a widened area to allow the truck to pass. Fortunately, this was all captured by the “GoPro look-alike” camera mounted on the hood of our car. The Gloppedalsura Scree is a large expanse of avalanche boulders that are piled on top of an end moraine created during the last glaciation period. The avalanche boulders cover an area approximately 0.5 km x 1 km and the deposit is up to 100 m thick in the deepest part of the valley. Some of the boulders are as big as houses! 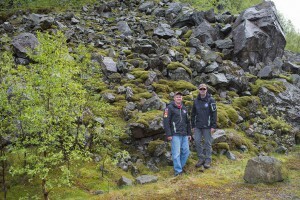 It is interesting how the road was constructed through the boulder field. It must have been quite an event when all the boulders fell suddenly into the valley! It was here that we discovered that the aerial drone had been damaged during the Oslo to Stavanger flight (Ryan was forced to check the drone with Norwegian Airlines). It appeared that someone had tried to remove the GoPro camera forcibly from the underside of the drone – severely bending the mounting brackets. It was a stressful situation as we rely on the aerial drone to get some of our most spectacular video footage. However, after careful evaluation, we were able to cautiously bend the brackets back into alignment so that the three-axis gimbal could function properly. Fortunately, the drone was once again operational to get the amazing videos that can only be obtained from an aerial perspective. Check out the Trekkit TV episode to see the aerial video footage. With the drone repaired, we were happy again. To keep up to date on everything Trekkit please subscribe to our Trekkit Newsletter.